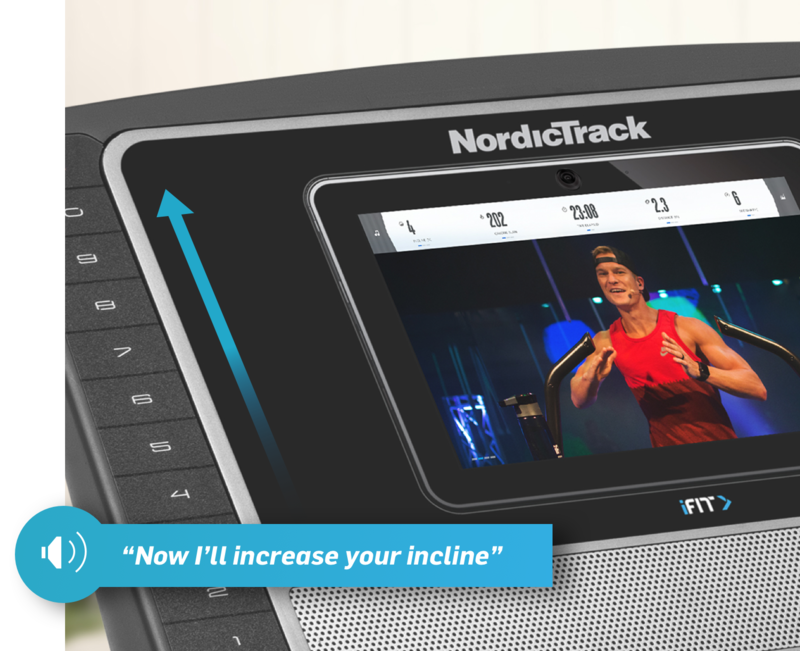 The NordicTrack T 8.5 S is one of four treadmills first introduced in 2019 as part of the brand new T Series. These treadmills replaced the former C Series, with new features and capabilities, yet still with an affordable price tag. If you are looking for a solid machine with plenty of extras, and don't want to spend a fortune, the T Series is a great place to start. 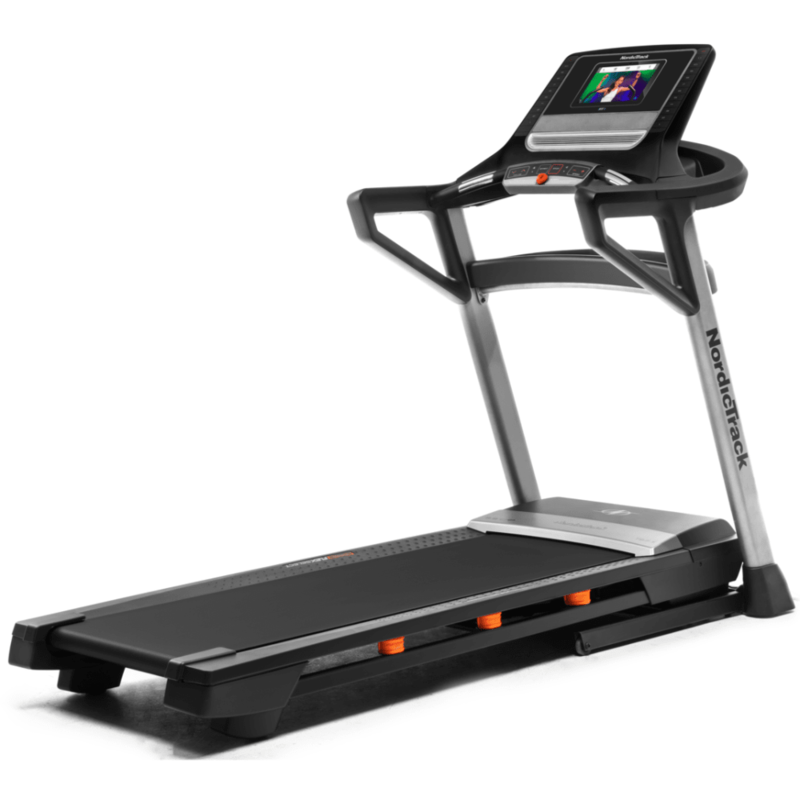 The 8.5 S, like the rest of the T Series treadmills, features a brand new design for the company, a combination of black and gray with a fresh, modern look. There's plenty of room to stretch out on the generously sized deck, and the advanced cushioning helps minimize impact on your knees and joints. Consumers seem to be loving the new NordicTrack T Series, as it is very similar to the upper level Commercial Series in many ways, but without the higher price tag. So you're getting a lot more bang for the buck than you got on the former C Series. The T 8.5 S is one of the more advanced models in the series, with an impressive 10" Smart HD touch screen that is similar to the ones you find in high end gyms. You can view your workout stats or choose from a limitless amount of on demand workouts through iFit Coach, which also includes Google maps of any location worldwide. You get up to 12 mph speed and 12% incline capability, and a large 20" x 60" running surface which you typically don't find on a treadmill under $1,500. You have the company's patented Flex Select cushioning that allows you to choose the type of running surface you prefer. Ramp up the cushioning to minimize impact on your joints or lower it to make it more similar to an outdoor run on the street. It's nice to have that flexibility. The NordicTrack T 8.5 S gives you a powerful 3.5 CHP motor that is capable of handling even the most strenuous workouts, and there are 50 built in programs including hills, high intensity training, distance, weight loss and more, so you can always change things up from one workout to the next. There are also plenty of extras included, a hallmark of NordicTrack treadmills. There's new Bluetooth audio so you can play your favorite tunes through the digitally amplified speakers as you workout; there's a great workout fan; there's a media tray; there's SpaceSaver design for easy folding and storing; there's easy OneTouch controls to make quick adjustments on the go. The T 8.5 S has just about everything you can ask for, and the only thing separating it from the top of the line T 9.5 S is the 10" touch screen as opposed to the larger 14" one on the higher end model. Both are great choices though...just jam packed with features and capabilities you don't find elsewhere. How Does the T 8.5 S Compare to the Other NordicTrack Treadmills? NordicTrack has always offered a large number of treadmills, so it can be difficult to decide which one to go with. Thankfully they categorize them to make it a little easier. Currently you have the T Series, the Commercial Series and the Incline Trainer Series. Let's take a look at all three here to see what you're getting with each, starting with the entry level T Series. The most affordable treadmill in the lineup is the T 6.5 S. It offers a 10" Smart HD touch screen, 2.6 CHP motor, up to 10% incline and 10 mph speed, a 20" x 55" running area and 20 built in workout programs. The T 7.5 S has a 7" Smart HD touch screen (not sure why it's smaller on this model), a stronger 3.0 CHP motor, more incline and speed: 12% and 12 mph, respectively, larger 20" x 60" running deck and many more workouts than the T 6.5 S: 50 in total. It also adds Bluetooth audio, an AutoBreeze workout fan and an integrated tray for your tablet. The T 8.5 S, as you've read about above, has a 10" Smart HD touch screen and a stronger 3.5 CHP motor. Otherwise it is very similar to the T 7.5 S.
The top of the line T 9.5 S has a 14" Smart HD touch screen and slightly more powerful 3.6 CHP motor. Otherwise it is essentially the same as the T 8.5 S.
So those are the four T Series treadmills. Moving up you then have the Commercial Series and the Incline Trainer Series. The Commercial Series treadmills (1750, 2450 and 2950) have at least 3.75 CHP motors, incline and decline capability (no decline on the T Series), larger 22" x 60" decks, more advanced cushioning and better workout fans. So you can think of the NordicTrack T 8.5 S as perhaps a notch or two below the base Commercial Series 1750, which is one of our top picks for the home gym. Most users will be more than satisfied with a T Series treadmill, especially the T 8.5 S and T 9.5 S...but if you think you need something more powerful, with more incline and decline and an even larger running surface, consider the Commercial Series as well. If you are in the market for a great home treadmill that won't break the bank, the NordicTrack T 8.5 S is definitely a winner. You get a large touch screen display, large running area, 50 built in programs plus all that get from iFit Coach, good cushioning, incline, Bluetooth audio, strong motor...the list goes on and on. If you want to save a few hundred you can look at the T 7.5 S and T 6.5 S, but we think the upper two models are worth the additional expenditure. And again, if you think you need something a bit more advanced, definitely take a look at the Commercial 1750 or one of the other models in that series. Those will add decline, larger decks and stronger motors to the mix, which is ideal for multiple users or heavy use by one or two individuals. Get the popular T 8.5 S on sale right now!